Centrally located in the heart of Clearwater, just minutes from Gulf to Bay Blvd. 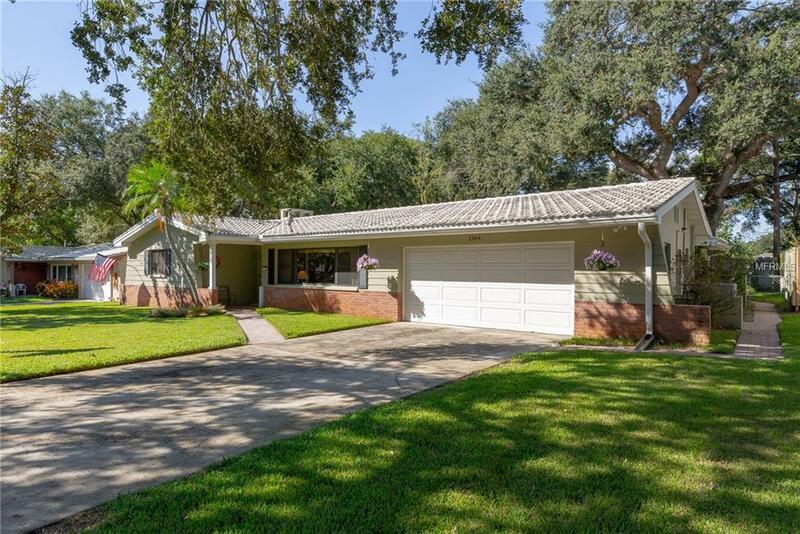 with access to award-winning Clearwater Beach or the Courtney Campbell Causeway into Tampa, this 2 bedroom, 2 bath home (can be converted back to a 3/2) features 3 fabulous entertaining areas including a spacious living room, cozy family room and a Florida room overlooking the tranquil backyard. A formal dining room sits across a casual dining area via a pass-through window allowing for larger gatherings where seating is a necessity. The kitchen wows with solid wood cabinetry including a built-in workstation for bills, recipes, homework and more in addition to a full suite of appliances and pass-through to the lanai. A stunning wood burning fireplace with stone faade anchors the family room with an adjacent wet bar thatll have you celebrating holidays and birthdays or simply serving up cocktails at the end of a long day. The Florida room can accommodate all types of uses whether youre looking for a reading room, playroom or bonus room with access to the lanai via two sets of French doors. Step outside to your private oasis where youll absolutely love the fabulous summer kitchen that features a gas grill, refrigerator and plenty of countertop space. Nearby A/V pre-wire welcomes you to mount a TV while soaking up the sun in the screen enclosed swimming pool. A child fence is available if needed. New HVAC! Barrel tile roof! Quick walk to the BRAND NEW Morningside Community Recreation Center and Pool!